I've made my love for spray tans and self-tanner quite evident. As a genetically pale human (who also doesn't want to dabble in the danger of UV rays), a faux glow has become a way of life. It wasn't until a reader mentioned her allergy to DHA—the active ingredient in self-tanners and spray tans—that I realized not everyone has the option to buff on the majority of self-tanners out there. It then became my mission to find one that would work for her and everyone else who suffers from the same unfortunate ailment. "DHA is a sugar that interacts with amino acids in the top layer of your skin to produce pigment called melanoidin; that's the brownish tanned look these products achieve," Prevention reports. "DHA can be manufactured synthetically, or it can be derived from natural things, like beet sugar or cane sugar." So there are options that use naturally occurring DHA, which works for those with a sensitivity rather than a full-blown allergy. If you fall into that category, The Organic Pharmacy Self Tan ($70) and Eco-Tan Cacoa Self Tanning Mousse ($40) may work for you. Below, we reveal the one self-tanner with absolutely zero DHA. Keep scrolling, and if you suffer from the allergy, start celebrating. This fast-absorbing, hydrating product offers a raspberry-based keto-sugar oil, instead of DHA. It also boasts a formula that is alcohol-, silicone-, nut-, gluten-, and cruelty-free, plus it's vegan. Beware of the glitter, but otherwise, it's a great alternative. "Not only does it smell good, but it offers a gradual tan," recommends Jenna, a Byrdie reader with a DHA allergy. "It definitely [allows for] an easy application and fades evenly. I don't apply it more than two days in a row, and I have a nice glow that lasts about three to four days after." 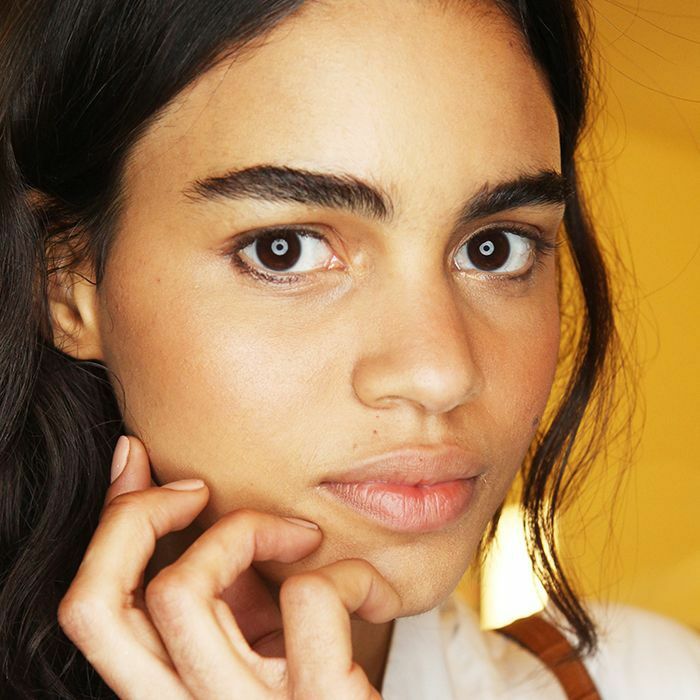 FYI: Here's how to avoid getting self-tanner on everything you own.